An Argentine mod band from the San Telmo area of Buenos Aires. Their debut album featured some originals, as well as covers of garage classics like Gloria,Tobacco Road and The Letter. They also performed the latter for the movie "A Solas Con Tu Nombre". Their second album featured covers of many of the classics of the era:- Lady Madonna, Honey, Words, Green Tambourine and Jennifer Eccles. After this Rover left for London. His replacement was Uruguayan and former Los Mockers member Polo Pereira. 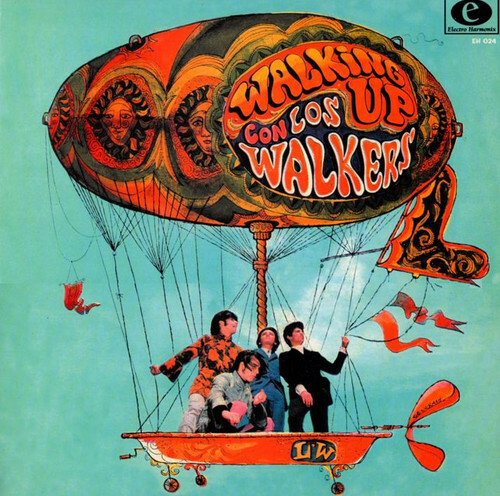 Waking Up Con Los Walkers was their classic album. It contained some of their finest moments like Where Goes Miss Lee On Saturdays? And Sonrié A Tremelon, which featured a lovely string arrangement. They followed this with a superb organ-led single Time For Love, which was notable for a catchy melody. Sadly, none of these won them the recognition they deserved and in their final months they sang and recorded in Spanish. Definitively you are very generous ... Thank you !! !